Environmental auditing had its genesis in the 1970s as a couple of newsworthy environmental incidents (for example, Love Canal and the Valley of the Drums) spurred EPA to promulgate a slew of new regulations. Also within this time period, the Securities and Exchange Commission pressed legal action on three companies that had understated their environmental liabilities on their annual reports to stockholders, and subsequently required them to perform environmental audits. Since then, regulatory agency activities have expanded/amplified in the form of increased fines, increased legal actions against company officials, and a significant increase in the volume and complexity of environmental regulations. Today, some environmental statutes authorize civil penalties up to $27,500 per violation per day for wrongdoers. Moreover, the visibility of company environmental issues has been raised to the forefront, not only in the corporate boardroom, but with stockholders as well. Due to the increasingly complex nature of environmental regulations, the environmental professional has morphed from a technician-level individual who performs environmental duties secondary to his/her primary job to a college-educated individual with years of experience and training in environmental matters. The same is true for environmental auditors and corporate environmental auditing programs. Today, two professional organizations—the Auditing Roundtable and the Board of Environmental Health and Safety Auditor Certifications -- exist primarily for environmental (as well as health and safety) auditing professionals. The scope and breadth of an environmental audit may vary greatly as numerous factors must be taken into account, including: facility size; complexity of operations; size and type of workforce; number and qualifications of auditors; the extent of the “look back” period of review. Environmental audits can range in scope from a one-person/one-day audit to a team of eight auditors for a period of five or more weeks. To give you an idea of how the process works, we have created a hypothetical facility. This one is very large (more than 900 acres of property and 1,000,000 square feet under roof) and manufactures a petrochemical product in a moderately complex process. • Toxic release inventory reporting under SARA Title III. 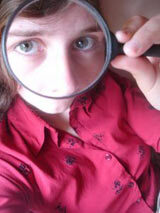 With this hypothetical facility, you will discover different approaches to inspecting. You may find some of the less obvious environmental issues that could cost your company more than it wants to pay. The ultimate objective of this exercise is to help improve your self-inspection and compliance assurance programs. The intent of this article is to present “less obvious” environmental issues in facility self-inspection programs, not those that are commonly identified during a competently performed environmental audit. Typical findings include labeling issues associated with hazardous waste containers; secondary containment drain valves that are left in the open position; and a parts washer lid left open while not in use, for example. Because the hypothetical facility is only a large quantity generator of hazardous waste (and not a treatment, storage, and disposal facility or TSDF), the exercise does not address potential Resource Conservation and Reauthorization Act (RCRA) Part B permit regulatory issues. Similarly, the facility is served by municipal water supply so drinking water standards will not be addressed. When conducting a thorough audit, an auditor will necessarily visit and observe customary locations associated with a particular environmental issue, for example: the hazardous waste auditor will visit satellite accumulation areas and the less-than-90 day storage area(s); the water quality auditor will visit the wastewater treatment plant and the downstream outfalls; the air quality auditor will visit and observe stack emissions. These areas always should be visited during an environmental audit. Other facility areas, however, may present opportunities to identify “sleeper” environmental issues (see Table 1). Uncontrolled / inadequately controlled stack emissions (for example, paint booths, fugitive dust, etc.). Observe stormwater issues from a “bird’s eye” view, including discharges that may not be included in the NPDES application. Observe rooftop air conditioning units and/or chillers that may be subject to ozone depleting substances (ODS) regulations. You will be surprised how many environmental issues you can spot from a “bird’s eye” view of the facility! These areas are ripe for observing “orphan” containers of hazardous and non-hazardous waste that are not being properly managed. These areas are often used for storage of universal waste lamps and batteries that may not be properly contained, labeled, and dated. Observe the presence of floor drains and discharges to such drains and verify that they are properly permitted. Check for “orphan” drums and wastes that are not being properly managed. These areas often have tanks and containers of used oil that are not labeled or are not being properly managed (especially small containers). Check for the presence of potential asbestos containing material in pipe insulation, walls, floor tiles, etc. If the facility has elevators, check the capacity of the hydraulic systems; if greater than 55 gallons, they must be included in the SPCC Plan. If the facility has a battery uninterruptible power supply system, determine if the quantities of lead and sulfuric acid exceed Tier II hazardous chemical reporting inventories. If so, are they listed on the Tier II report? Check to see how boiler blowdown and compressor condensate are managed. Are these aqueous waste streams properly permitted for disposal to surface water, city sewer, or groundwater? Open cabinets and check lab hoods for orphan containers of hazardous waste. Look in chemical storage rooms for accumulations of old chemicals that should have been “lab-packed” years ago. Check for old peroxide and picric acid solutions that may have crystallized – Explosion hazards! Check for open containers of spent solvents evaporating in lab hoods – potential air and hazardous waste management issues. Common satellite accumulation issues in labs include: open containers, illegible marking of contents, satellite to satellite transfer of hazardous waste, the use of one satellite container for multiple labs, etc. Check any dumpsters in the vicinity of the lab for improperly disposed waste. Check storage cabinets for hazardous materials that may have been requisitioned from sources outside the normal supply chain (for example, paint stripper – methylene chloride). Wastes generated from using these products may not be properly characterized for treatment or disposal. How are “empty” aerosol cans managed? Check used oil labeling and management. Check universal waste labeling and management. Determine if vehicles or other equipment are washed indoors or outdoors. If so, is the resulting discharge of wash water properly permitted? Such discharges to stormwater are likely not permitted. Improper management of waste paint and paint related materials, including aerosol cans. Improper management of universal waste lamps and batteries. Check for sandblasting operations. Has spent sandblast material been analyzed for toxicity characteristic metals? Is the spent sandblast material contained or uncontained? Check tank gauges and/or alarms to ensure they work. Check to see that manually activated stormwater discharge valves are closed and locked (secured). Visually observe the opening and closing of valves to ensure proper operation (you may be surprised how many of these valves/gates are not fully functional). Improper disposal of aerosol cans (that is, they are not empty) and other hazardous materials containers. Improper disposal of universal waste lamps, batteries, and oil/solvent rags and absorbents. Visiting dumpsters in the vicinity of the lab and the maintenance shop is critical. These areas are ripe for orphan containers of waste. Check for old transformers, capacitors, and other oil-filled electrical equipment and ensure the facility can match the equipment with a polychlorinated biphenyl concentration. Check for potential pollutant sources that are not permitted under the NPDES stormwater permit. Check for evidence of spills/releases. Check point source discharges that are exiting the property against those identified on the NPDES permit application. See if you can detect odors emanating from the facility at the fence-line (most states have reporting requirements for fence-line odors). Check for fugitive dust emissions. Check the fill port sump, the piping sump, and the under dispenser containment sump to detect any product, water, and/or debris. Check to see that shear valves are present and securely mounted. Observe portable oil storage containers For SPCC purposes, check that mobile or portable oil storage containers (except mobile refuelers) are furnished with secondary containment. Check for unauthorized point source discharges. General site tour Look for areas under construction to see if more than one acre is being disturbed and then ensure that stormwater permit and associated SWPPP are in place and being followed. Many self-audit programs could benefit significantly by training auditors on proper interviewing techniques. This training would address not only who should be interviewed but also how the auditor should ask the questions. The following likely suspects should be on the list: the Environmental Manager and his/her direct reports, the Wastewater Treatment Plant Operator, the LDAR Technician, etc. However, as presented in Table 2, there is value in interviewing other employees. The manner in which questions are asked is a frequently overlooked part of an audit program. Experienced auditors are trained in the funneling method, where the interviewer begins with very broad, open-ended, “how to” questions (top of the funnel) designed to elicit a potentially broad range of responses. You will be surprised to learn how many regulatory issues are divulged at this stage of the interview, including some that you may not have been intending to pursue. Potential issues (audit trails) are subsequently nailed-down by asking more focused, close-ended, yes/no and one-word questions (bottom of funnel). Do they understand their role in an emergency response (for example, implementation of the RCRA Contingency Plan, SPCC Plan, etc.)? Ask about their knowledge of reportable events (spills/releases) – they may have knowledge of spills/releases that occurred during second or third shifts that had not been reported to the environmental staff. A control room operator is usually the first to know of an environmental incident -- are they trained to recognize what is a reportable incident to enable them to make the appropriate internal (and possibly external) notifications? Ask about their knowledge of reportable events (spills/releases) – they too may have knowledge of spills / releases that occurred during other shifts that were not reported to the environmental staff. Boiler room operators Ask about their knowledge of reportable events (opacity exceedances and other instances where the boilers malfunctioned). Off-shift supervisors Are the off-shift personnel trained in the facility spill/release reporting procedures? Maintenance manager and operations manager Obtain a general understanding of their knowledge of environmental permit limits, spill reporting requirements, etc. A lack of knowledge on the part of these individuals is a leading indicator of potential compliance problems at the facility. “I would like to see your hazardous waste manifests, discharge monitoring reports, supportive Title V permit records, your SARA Title III Form Rs … etc.” Review of the key records in each environmental regulatory area is crucial to determining facility compliance. In some cases, a superficial review of records may not be adequate to discern regulatory issues. For example, hazardous waste manifests may indicate good compliance from a RCRA perspective, but perhaps not from a Department of Transportation view. The shipping descriptions do not conform to DOT (49 CFR 172.101 Table) regulations. Check that all employees signing manifests have received DOT training. ODS leak rate calculations are frequently not available or not in a format that conforms to 40 CFR 82. Equipment leak rate has not been calculated, or it exceeds specified regulatory levels and required follow-up activities have not been performed. Check that discharge monitoring reports and other required reports are signed/certified by a responsible corporate official or a duly authorized representative. Many states require a letter confirming delegation of authority submitted to their agency; evidence of this is frequently unavailable. Check that documentation is available to demonstrate that certain solvent concentrations do not exceed specified concentrations in 40 CFR 261 at the headwaters of the wastewater treatment plant. Verify that lab sink drains were identified on the wastewater permit application. Check to see that the plan has a list (including the location and capabilities) of emergency response equipment. Verify that the plan, including updates, has been submitted to all required agencies (such as local police, fire, hospital, hazmat team, etc.). Semi-annual (or other frequency) reports often do not contain the “laundry list” of information that the maximum achievable control technology or new source performance standard requires. Check that management of change documentation has kept up with process changes (for example, piping and instrumentation diagrams are not current). Verify that aboveground bulk containers are integrity tested on a regular schedule. Visual inspection must be combined with another testing technique such as hydrostatic testing, radiographic testing, ultrasonic testing, acoustic emissions testing, or other nondestructive testing. Check secondary containment systems for cracks or other integrity problems; if you observe problems, have they been noted in periodic inspections of secondary containment? USTs Check inventory control documentation to determine if volume discrepancies indicate a potential leak. If so, does leak investigation documentation exist? Further, many states require notification of these incidents if the investigation does not prove a false-positive within a certain period of time. If you perform self-inspections or audits, periodically you will need to adopt the Missouri state credo “Show me…” Certain activities and conditions, as listed in Table 4, must be either shadowed or actually tested for verification. For example, seemingly very knowledgeable LDAR technicians, who were shadowed during a monitoring event, have actually violated many of the 40 CFR 60, Method 21 requirements for calibrating and monitoring equipment. Accompany LDAR technician 40 CFR 60, Method 21 is very specific relative to LDAR monitoring, including calibrations and duration of monitoring. This must be verified in the field. CWA sampling event Shadow the sampler during a sampling event to determine if all the EPA guidelines for the specific samples obtained are being met. For example, pH analysis must be done within 15 minutes of sample collection. CWA sample compositor Check the temperature of the refrigerator serving the wastewater sample compositor to confirm it’s less than 6 degrees C.
Tank dike drain valve testing A sample of tank dike drains should be manually opened and closed to determine proper valve functioning. UST release detection If the facility uses an electronic monitoring system, check the position of the piping sump sensor to verify that it is positioned correctly to provide early warning of a piping failure. Calibration gases Check the expiration date(s) of calibration gas cylinders used to calibrate LDAR monitoring equipment and continuous emissions monitoring systems. Even the most seasoned environmental professional cannot possibly be expert in every area, primarily due to the complexity or density of particular regulations. Some difficult-to-interpret regulatory issues (which could be the subject of a very lengthy paper) have broad applicability and should be carefully assessed vis a vis applicable facility regulations. Where regulations are not fully understood, a greater potential exists for regulatory deficiencies (Table 5). RCRA Subpart CC volatile organic emission controls Evaluate Subpart CC compliance for volatile organic wastes including proper waste determinations, container standards etc. RCRA/Recycling standards Hazardous wastes that are recycled may or may not be subject to strict rules during accumulation or shipment prior to recycling. LDAR requirements contained in new source performance standards, maximum achievable control technology standards and state regulations may not be fully implemented at subject facilities. Component leak rates are sometimes underreported by a facility. A comparison should be made of the number of components that can be correctly monitored in one day using Method 21 against the actual number of components being monitored in one day. Another important reason to shadow the LDAR technician during monitoring. Air Check capital project records to determine if construction or modifications would have required the issuance of a New Source Review/Prevention of Significant Deterioration permit. Any project noted as “debottlenecking” should be carefully scrutinized. Air If annual compliance certifications routinely indicate continual compliance with all Title V permit conditions (an improbable situation), check that adequate due diligence investigation is being performed to ensure accurate certifications are submitted. Air Start-up, shutdown, and malfunction plans: Are all the likely scenarios covered? Is all the supporting documentation available and in the correct format? Air – Continuous Emissions Monitoring Invalid data may be discovered that are not subsequently reported on exception reports. SPCC Facility personnel may not include all “oil” sources in their plan. For example, equipment reservoirs (for example lube oil, hydraulic oil) greater than 55 gallons capacity often are overlooked, as are 55-gallon drums of oil, diesel fuel tanks on heavy equipment, or small heating oil tanks. Various Spill/Release Reporting Facility personnel may not have reported all spills/ releases due to improper interpretations of key definitions such as: federally permitted release, continuous release, petroleum exclusion, etc. From the board room on Wall Street to the average stockholder or customer on Main Street, an understanding of corporate environmental liabilities is an important component of financial success. Confronted with the volume and complexity of environmental regulations, corporations need to periodically perform in-depth environmental audits for the purpose of identifying and correcting regulatory issues that could result in financial and/or operational liabilities.